A new initiative to popularize millets by developing products as well as branding of Karnataka ragi (finger millet) was launched recently. This is driven by the Government of Karnataka, following an intense day of deliberations and insights from food processors on the major hurdles they face and the market opportunities that exist. The Government of Karnataka will partner with ICRISAT and the Indian Institute of Millets Research (IIMR) to bring this to fruition with strong support from the industry. Commonly seen as food for the poor, millets face many challenges to reach their full potential, the primary challenge being low investment along the value chain. This perception is set to change, as the health and environmental advantages of millets are being recognized by governments and other actors in the food industry. 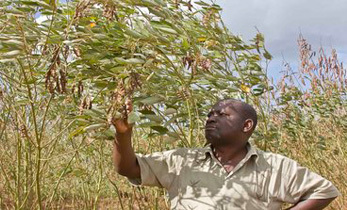 Much of the efforts to date have been to increase millet productivity at the farm level. Additional efforts are needed to develop the demand side, while also making sure the farmers benefit from this. 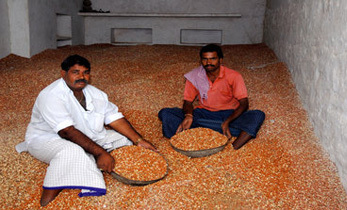 As Karnataka is the major producer of the ragi in India, an additional complementary initiative is to brand Karnataka ragi to build a unique image to further develop consumer interest in this cereal. “Millets are good from multiple points of view. So far our efforts have focused on the supply side and there’s been considerable success in increasing yields and developing more resilient varieties. But I feel the demand side has hardly been touched at all. We need a pull from the market to sustain the supply side. Ragi compares well on most accounts with quinoa and compares better on many other accounts. So what is holding ragi back? 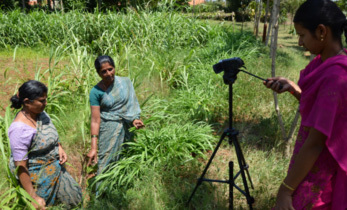 That’s what we want to find out and overcome through this initiative,” said Mr Krishna Byre Gowda, Minister for Agriculture, Government of Karnataka. The Government of Karnataka has been a leader in India in scaling up technologies with farmers, through mega programs over the past six years. These include Bhoochetana, Bhoo Samruddhi and the recently launched, Golden Agriculture Village Scheme. The Government of Karnataka is now keen to ensure that these efforts are fully capitalized on, by investing in demand-driven initiatives. A way forward was agreed upon by the Government of Karnataka, representatives from major food processors and supporting government and non-government bodies. They agreed on the outline of the initiative and recognized existing opportunities to build the millet market, both within India and globally. The action plan includes building a public private consortium of partners to focus on the demand pull for millets through real actions. A more detailed road map will be planned over the next few months and once there is clarity on the best strategy to raise awareness and create a buzz around millets and especially the key messages for millets, the Karnataka government will hold a larger workshop in Bengaluru with a wider range of stakeholders. 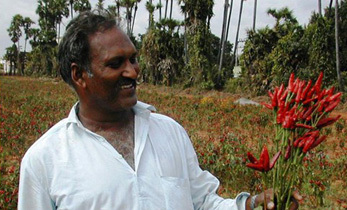 “There is a need to change the image of millets. Make them more modern and create a buzz around them. 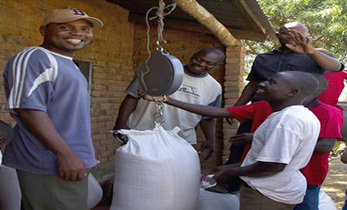 Developing appropriate consumer products is a key component to achieve this. That’s why we have started a Smart Food campaign with the motto: good for you, good for the planet and good for the smallholder farmer. 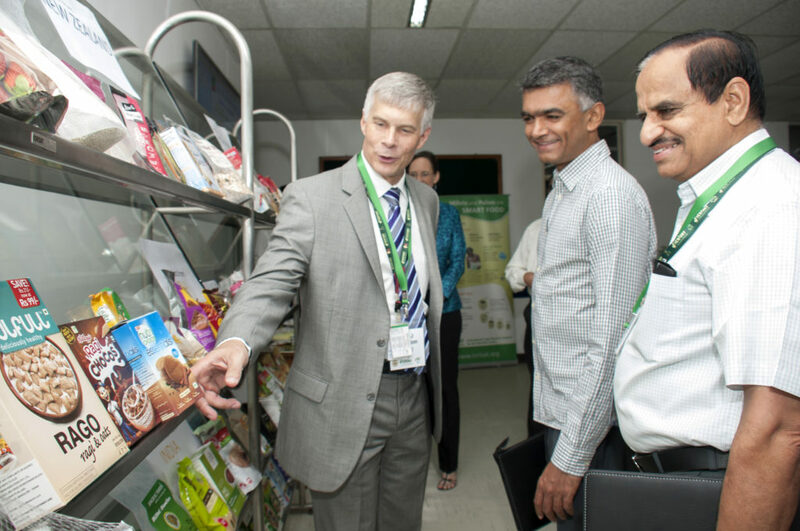 They are highly nutritious and have health benefits, use less water and have high drought tolerance and increasing their market value benefits farmers,” said Dr David Bergvinson, Director General, ICRISAT. 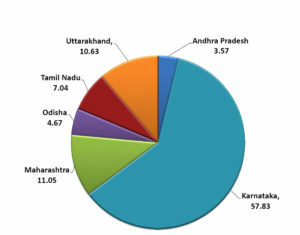 Finger millet: % production by major states (2011-12). Millets, often called nutri-cereals, are highly digestible, gluten free, have low glycemic index and are high in antioxidants. Recent studies have also shown that pearl millet has the potential to fight iron deficiency, the biggest nutrient deficiency facing the world, especially prevalent among women and children across India and sub-Saharan Africa. 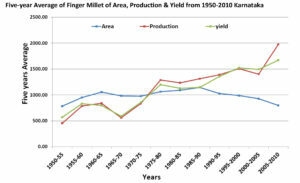 Karnataka 5-year average of finger millet of area, production & yield from 1950-2010. Some varieties of pearl millets survive temperatures of up to 64oC. The crop can be harvested within 60 days, as against 100-140 days for wheat. While 2,100 mm of water is used during the growing period for sugarcane and 1,250 mm for rice, millets require less than 500 mm of water. 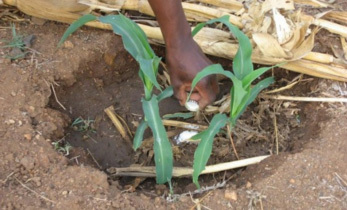 Finger millet and pearl millet can be grown with 350 mm of water, while sorghum requires 400 mm of water.